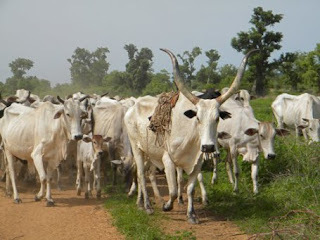 The federal government, security agencies and states affected by violent clashes between herdsmen and farmers have devised strategies to check the menace.This is the major outcome of a crucial security meeting convened by the Minister of Interior, Abdulrahman Dambazau, in Abuja on Monday.The closed-door meeting, which lasted for about five hours, was attended by the governors of Adamawa, Benue, Kaduna, Nasarawa, Niger and Taraba states, and heads of security agencies. Addressing journalists after the meeting, Governor Samuel Ortom of Benue said there was now synergy among the security agencies, the federal and state governments to combat the challenge. Mr. Ortom, who was joined by his Taraba counterpart, Darius Ishaku, declined to give details of the strategies, saying it was a security matter not meant for public consumption.“As you can see all the governors of the states where we have the most challenging security problem are here. “We have dialogued; we have looked at the problem with the security chiefs and appreciated each other. “One thing that is central is that we have agreed that killing in any form is not allowed; security men must apprehend and prosecute those responsible.“There is no point politicising these killings; it is the responsibility of all Nigerians to eliminate the criminality that is resulting in the killings,” Mr. Ortom said. The governor said it was also agreed at the meeting that Nigerians should desist from hate speeches that were fuelling the crisis.He urged Nigerians to see it as a national challenge that demanded the efforts of all to be checked.Media reports had earlier reported Mr. Ortom as saying that the federal government and security agencies had abandoned Benue in the recent killing spree by herdsmen in the state.Asked what assurance he had received from both parties at the meeting, he said more security personnel, equipment and logistics had been deployed to the state. Before the meeting went behind closed doors, the Minister of Agriculture and Rural Development, Audu Ogbeh, said the federal government was planning “cattle colonies” as part of efforts to tackle the problem.Reacting to this, Mr. Ortom said Benue already had a law that provided for ranching, but that the government was willing to amend it to accommodate the proposed cattle colonies if the minister was able to “convince us that they are better than ranching.”The governor explained that the government was not sending anyone away with its recently enacted anti-grazing law.“All cattle breeders or rearers are allowed to be in Benue State, but they must ranch their livestocks.“This is not restricted to cattle; whether goat or sheep or cattle, you must ranch them. “This is meant to provide security for herdsmen and farmers. Now, if we see any cattle moving about, we will know they are rustled and deal with such people.“So, the herdsmen too are protected and people are already buying into this ranching business already established by the law in Benue state”. While noting that ranching was the global best practice in the cattle business, he expressed the hope that stakeholders would embrace it with time in the country.Governor Darius Ishaku of Taraba described ranching as the best solution to the frequent clashes in the country. Mr. Ishaku said Taraba had also promulgated an anti-open grazing law to take effect from the end of January. He noted that both farmers and herdsmen needed education on how they could co-exist. Other governors at the meeting were those of Adamawa, Jibrilla Bindow; Kaduna, Nasir El-Rufai; Nasarawa, Tanko Al-Makura, and Niger, Abubakar Bello. The Inspector General of Police, Ibrahim Idris; the Director General of the State Security Services, Lawal Daura and the Commandant General of the Nigeria Security and Civil Defence Corps, Abdullahi Gana, were among the security chiefs present.